Of all the virtual worlds to explore, none offers as expansive an experience as the massively multiplayer online world of Entropia Universe. This world is unique from other massively multiplayer online games in a number of ways that appeal to a wide variety of players. It is a high quality game that has been running continuously, with a large population of players, since 2003. It stands out from the competition by using an in-game economy based on a virtual currency that can be converted directly to real world cash. Real cash economy games are rare in the online gaming market. Most games allow you to invest money in them, but few allow you to withdraw it. Entropia Universe is one of the few true real cash economy games that actually allows you to withdraw virtual money, as real money, at any time you want. The entire game is built on that economy. Everything, from clothing to equipment to resources has a value in virtual currency. These items can be bought and sold freely with other players or with in-game virtual merchants. Furthermore, the economy is dynamic, with players creating supply and demand that affects the economy. 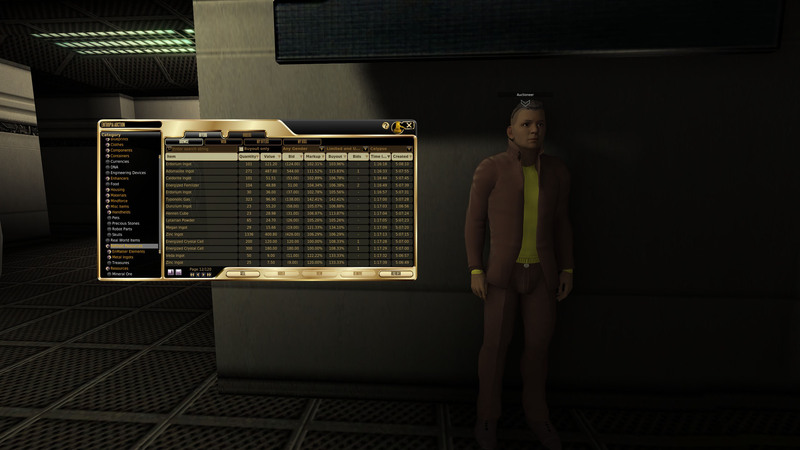 Unlike many online games, you can do just about anything you want in Entropia Universe. Players can take the roles of hunters or crafters or merchants. You can engage in events run by the designers or even create events of your own. You can build vast companies, join guilds, or even enter into politics within the world. The biggest advantage of a virtual economy game is that there are no limits on what you can do if you have enough virtual currency. And that doesn't mean you have to simply spend money to have fun. You can earn unlimited virtual currency entirely through in-game actions, through a combination of skill, luck, and ingenuity. If the idea of real cash economy games appeal to you sign up here for Entropia Universe. Signing up is free and you can join this exciting, epic game in just a matter of minutes. ​Entropia Universe is the ultimate sandbox sci-fi MMO where you have no set script, can spend as much or as little as you prefer, and your abilities to socially interact, grind for skills and invest to earn an income are as unlimited as your imagination.